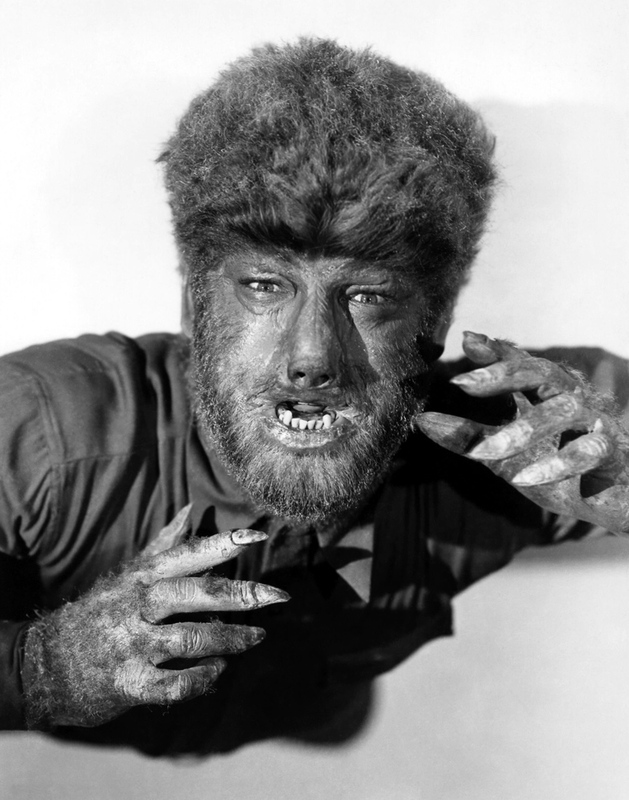 Lon Chaney Jr was born Creighton Tull Chaney on the 10th of February, 1906 in Oklahoma City. The son of silent film star Lon Chaney and cabaret performer Frances Cleveland “Cleva” Creighton, the young Chaney spent much of his early life in residential homes and boarding schools after his parents’ 1913 divorce. Upon his father’s remarriage in 1916, he was able to move in with Chaney Sr and new wife Hazel Hastings. It has been widely alleged that the young Chaney thought his mother had died when he was very young, and was only told she was still alive after the death of his father. 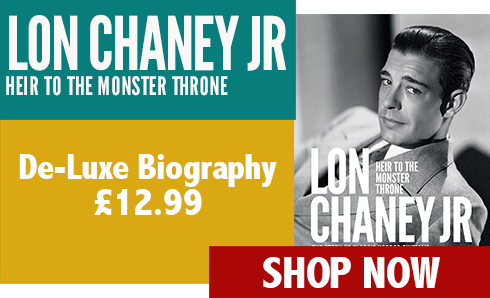 Lon Chaney Jr was keen not to become a miniature version of his father – indeed, Chaney Sr actively encouraged him to stay away from showbusiness – but the fascination with the screen remained. 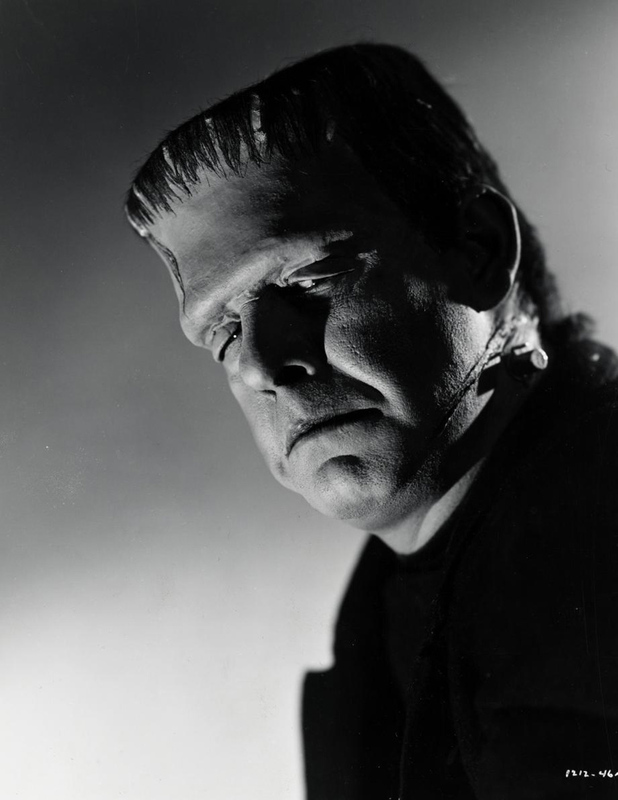 Chaney Jr attended business college and worked in a diverse range of jobs to support himself, whilst also learning how his father created his compelling screen make-up. Creighton Chaney married Dorothy Hinckley in 1926 and the union produced two sons, Lon Ralph Chaney and Ronald Creighton Chaney. Chaney worked for his father-in-law at the General Water Heater Company in Los Angeles, reaching the position of Secretary-Treasurer of the firm. 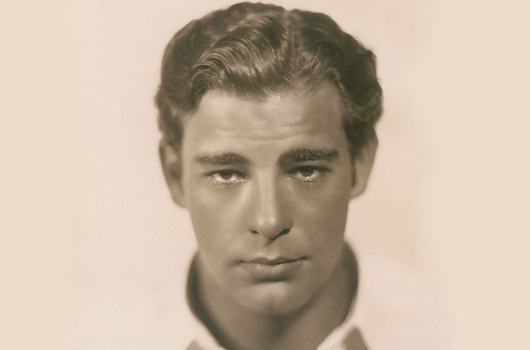 Following his father’s death in 1930, Lon Chaney Jr made the leap into movies, playing minor roles under his real name so as not to trade on his father’s reputation, a move of which he felt unworthy. 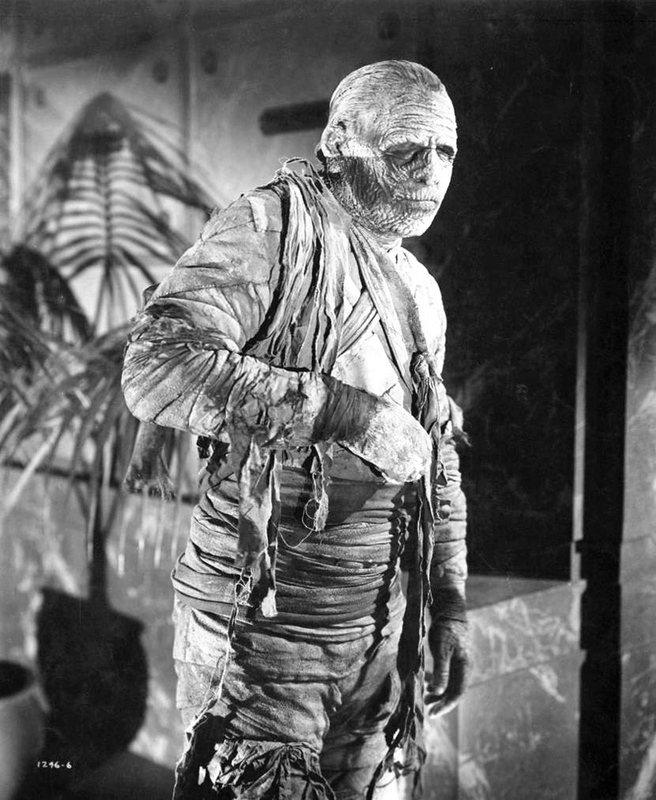 In 1935, a producer advised him to perform as Lon Chaney Jr and, although reluctant, he saw the business sense in the suggestion, and acquiesced. In 1936, he separated from his wife, and later that year married model Patricia “Patsy” Beck; the marriage would last for the rest of his life. Lon Chaney Jr’s real break came with his acclaimed 1939 performance as Lennie in Of Mice and Men, and he tested for the role of Quasimodo in The Hunchback of Notre Dame (1939), which eventually went to Charles Laughton, denying the younger Chaney the chance to take on a part which his father had also played. Similarly, a year later he was refused the chance to use his make-up skills on One Million BC because of production decisions and union rules. 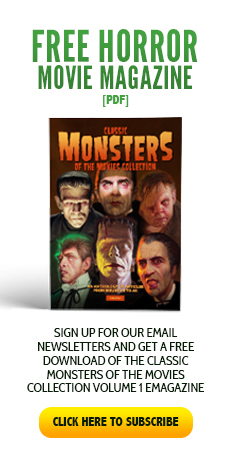 Chaney Jr signed with Universal and garnered the starring role in sci-fi horror Man Made Monster (1941); his performance as electrically-charged killer Dan McCormick leading to his casting as tortured hero Larry Talbot in The Wolf Man (1941) – a role which, for better or worse, would forever be linked with the Lon Chaney Jr name. 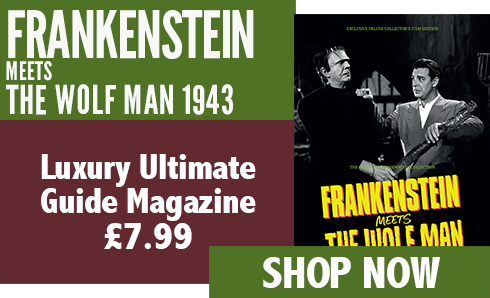 The Larry Talbot / Wolf Man character became a Universal staple, appearing in the likes of Frankenstein Meets the Wolf Man (1943) and House of Frankenstein (1944). 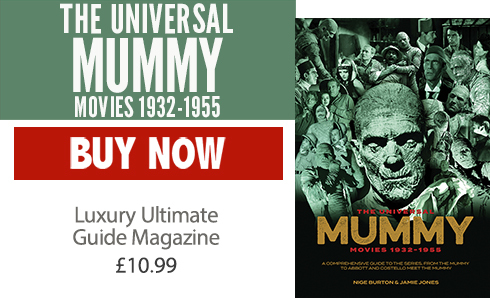 Chaney Jr played other monsters too, and was in fact the only actor to ever portray the four great Universal monsters, playing Frankenstein’s Monster in The Ghost of Frankenstein (1942), Dracula in Son of Dracula (1943), the Wolf Man, and the Mummy in three films starting with The Mummy’s Tomb (1942). Chaney Jr was highly protective of the Wolf Man character and refused to let any other actor play his “baby”. 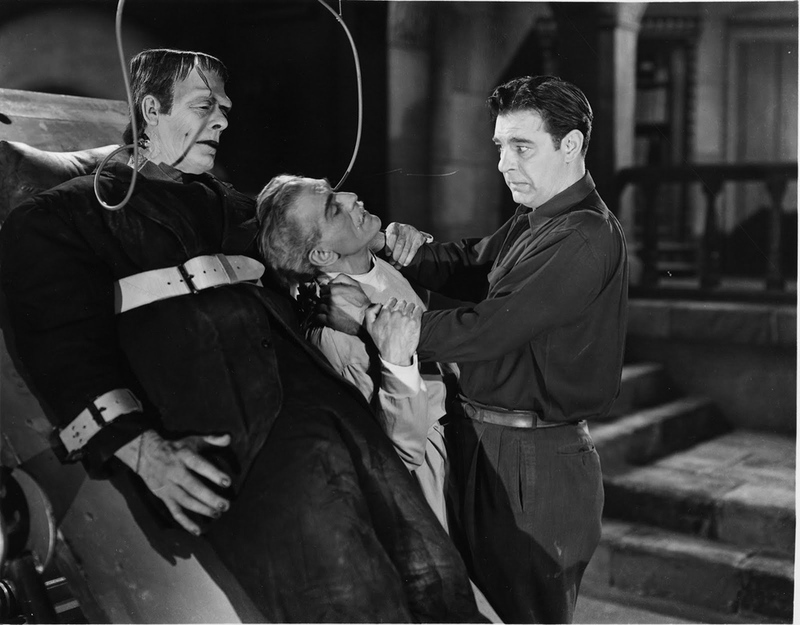 The much-loved horror spoof Abbott and Costello Meet Frankenstein (1948) was a notable point in Lon Chaney Jr’s career, albeit for the wrong reasons. 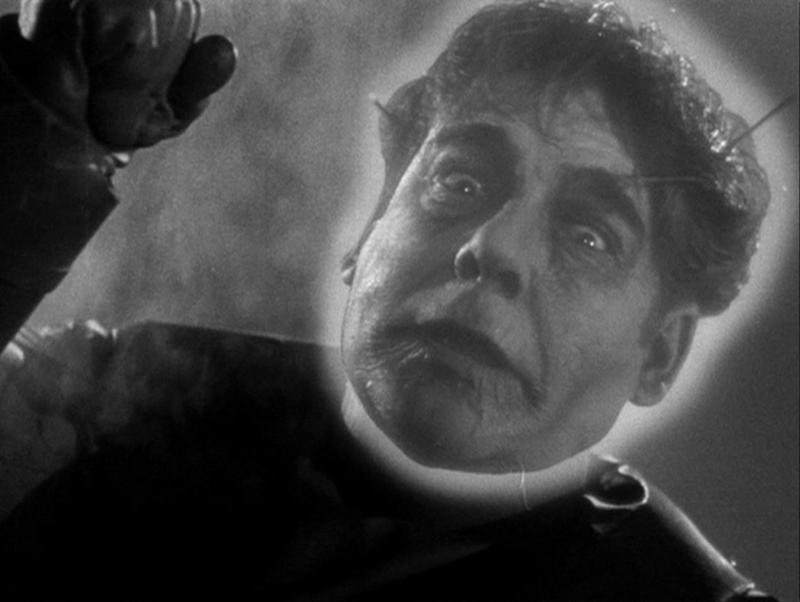 Chaney Jr was vocal about his detestation of the comedy romps: “Abbott and Costello ruined the horror field … they made buffoons out of the monsters.” His decrying of this new direction in the genre serves as testimony to his passion for the characters which had helped to make him a popular name in Hollywood. Working hard to avoid being typecast despite his CV thus far, Chaney Jr gained a number of roles in crime films and westerns, as well as radio show appearances. 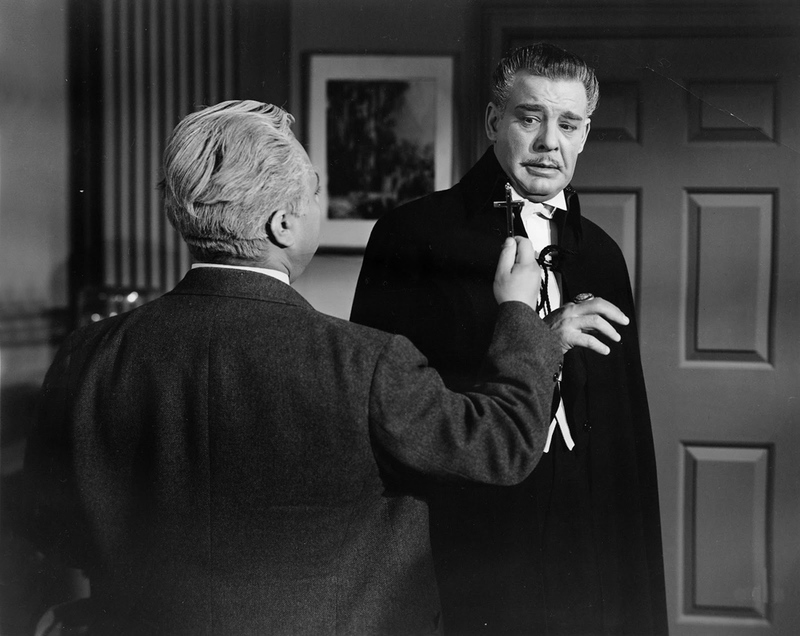 He played a key part in High Noon (1952) with Gary Cooper, and appeared alongside Robert Mitchum and Frank Sinatra in Not as a Stranger (1955). His reputation as a solid character actor grew, and although he did not step entirely out of his father’s shadow, he remained credible across a variety of genres. He was also known for standing up for underdog actors who he felt were not being given due respect by the studios. 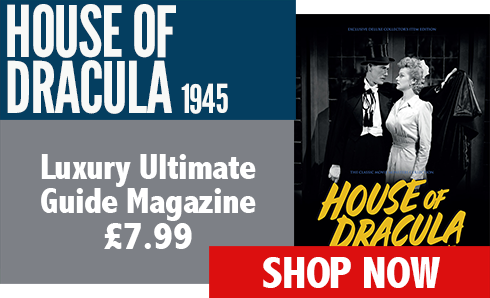 Years of hard living, however, took a severe toll on Lon Chaney Jr’s health, and he spent his later years battling both throat cancer and chronic heart disease. He died of heart failure on the 12th of July, 1973 in San Clemente, California and his body was donated to medical research. Lon Chaney Jr’s final resting place may be unmarked, but his impact on horror movie history is undeniable. 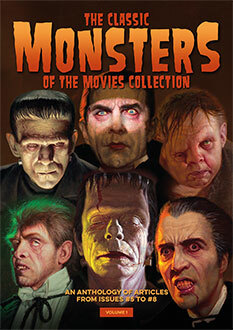 I absolutely loved Lon Chaney Jr. 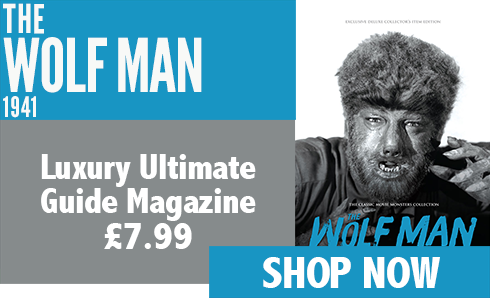 He was a wonderful actor, his best role as the Wolfman! That is one of my favorites.